Product #3806 | SKU MSP7STUDIO | 0.0 (no ratings yet) Thanks for your rating! 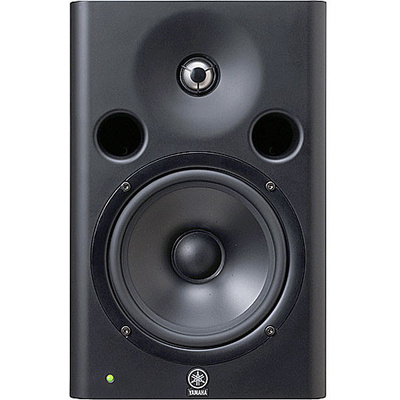 The MSP7 from Yamaha is an active two-way professional studio monitor ideal for use in small spaces. The 165 mm woofer and 25 mm dome tweeter provide a wide frequency response, and each is powered by its own high-power, low-distortion amplifier. All of the electronics are housed in a high-quality bass-reflex cabinet with magnetic shielding for safe use near video monitors. The rear panel of the cabinet features a balanced XLR input connector, along with a low cut switch, a volume level control, and high and low trim controls to match the monitor to your acoustic space. A front-panel LED indicates power status, and turns red if a signal is clipping.